The deal involves just under €350m of NAV in the Swedish mid-market private equity firm's 2007-vintage fund, Secondaries Investor has learned. 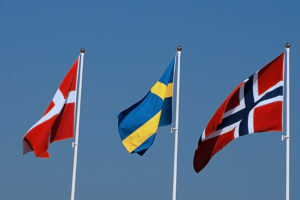 Segulah, a Swedish mid-market private equity firm, is exploring a fund restructuring of its 2007-vintage buyout vehicle in a deal that may hinge on two key assets in the Nordic oil and gas industry, Secondaries Investor has learned. The Stockholm-headquartered mid-market firm has launched a process to restructure its SKr 5.2 billion ($582 million; €548 million) Segulah IV fund, according to five sources familiar with the deal. It is understood the process launched in January and bids were due in the second week of February, with Lazard advising on the deal. The process involves just under €350 million of net asset value in Segulah IV, which holds eight assets, according to two of the sources. Secondaries Investor understands the plan is to move the assets into a new vehicle with new terms. The most attractive assets in the fund are Oglaend Industries and Beerenberg, both of which provide support services to businesses in the oil and gas sector. Segulah acquired Oglaend in 2014 and owns an 82 percent stake; it bought Beerenberg in 2013 and owns an 89 percent stake, according to its website. Segulah IV’s other current investments are information services provider Docu Nordic, local newspaper publisher Mitt i, alloy steel and metal castings maker KP Components, healthcare skin and dental care products maker CCS Healthcare, glazed balcony supplier Balco and chain and lifting components maker Gunnebo Industries. Due to concentration risk, one of the sources suggested the deal may ultimately be syndicated. Investors who have committed to Segulah IV include Pennsylvania Public School Employees’ Retirement System, Scottish Widows Investment Partnership, State of Wisconsin Investment Board and New York State Common Retirement Fund, according to PEI data. The fund had a 2.2 percent net internal rate of return and a 1.1x net multiple as of March 2016, according to online private equity marketplace Palico. The restructuring comes nine months after the firm held the final close on its latest fund on less than half its target. It collected SKr 2.4 billion out of an initial goal of SKr 5.6 billion for Segulah V in April after about two years of fundraising, according to PEI data. At least two executives have departed the firm in the last three years, including managing partner Christian Sievert, who left to set up his own investment company in spring 2014, and co-managing partner Henrik Lif, who left last September after two years at the firm. Speaking to sister publication Private Equity International in April after the final close of Segulah V, managing partner Sebastian Ehrnrooth said that amid leadership changes at the firm, its performance “has not been as good in recent times as it was in the past”. GP-led processes including fund restructurings, recapitalisations, spin-outs and tender offers, accounted for around 25 percent of deal volume last year, according to a January report by Greenhill Cogent. Buyers also feel the number of restructurings are rising, with more than half of respondents to an end of year survey by advisory firm Setter Capital saying they felt more GPs attempted to liquidate or restructure older funds last year compared with 2015. Segulah manages SKr 8 billion in assets across Segulah III, Segulah IV and Segulah V, according to its website. It specialises in companies with revenues of between SKr 400 million to SKr 4 billion. Segulah and Lazard declined to comment.